A Based Heart on an Eco Base edged with foliage and based in white chrysantheums. The colour of roses on the cluster can be changed to suit your requirements, please specify at the time of ordering. Flowerscene deliver to Aberdeen and surrounding areas. 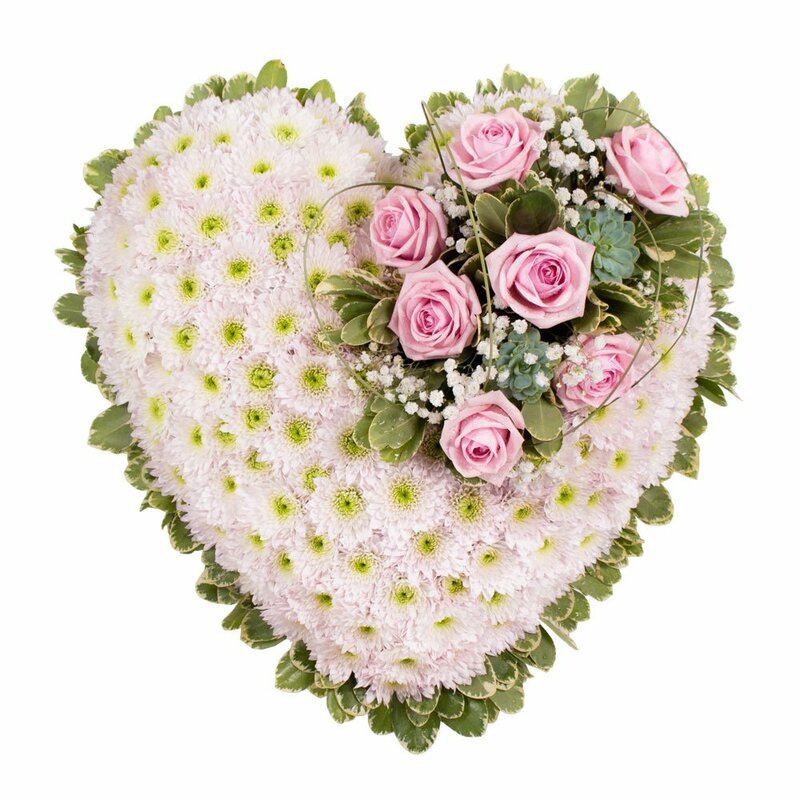 If preferred this heart can be collected from our shop.